9th Wonder is a Grammy Award-winning producer who has worked with some of the most prolific artists in the music industry, including Jay Z, Mary J. Blige, Kendrick Lamar, Ludacris, Lecrae, Drake, Murs, Destiny’s Child, Chris Brown and Erykah Badu. He’s also a skilledturntablist and acclaimed rapper who currently raps under the name “9thmatic.” He was previously part of the Durham, N.C.-based group Little Brother, rapping alongside Phonte and Big Pooh from 2001 to 2010. 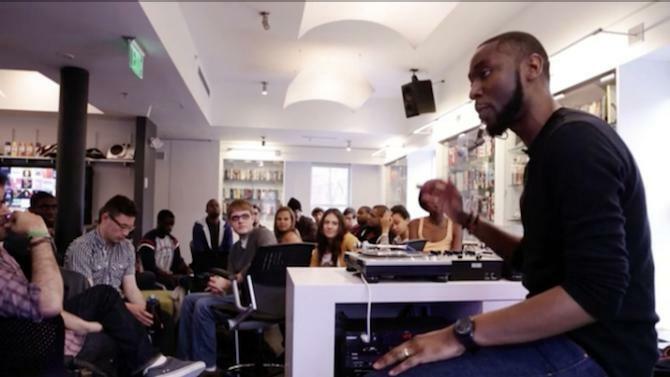 The Hip-Hop Fellow is a 78 minute documentary following Grammy Award winning producer 9th Wonder’s tenure at Harvard University as he teaches ‘The Standards of Hip-Hop’ course, conducts research for his thesis and explores hip-hop’s history, culture and role in academia. The film centers on the emerging significance of incorporating hip-hop studies into the academy and spotlights the scholars and musicians at the forefront of preserving 40 years of hip-hop culture. « Life is Good | Indeed, GOD Made Me Laugh!